We know the importance of choosing a home inspector! 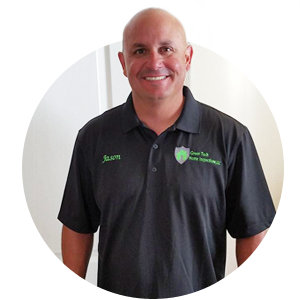 At GreenTech Home Inspections, we know the importance of choosing a home inspector who will not only provide you with a comprehensive inspection report but also a detailed explanation of the included information. As a green company, we are committed to following environmentally-friendly practices. For example, we minimize waste by offering our home inspection reports and invoices electronically. They are conveniently accessible to you on your computer, tablet, and even your mobile device. Our web presentations are password protected for your security and include photos and video to further illustrate the condition of the visible and accessible components of the property we have inspected. We want to equip you with the knowledge you need about the condition of the property in order to make a sound decision. With over a decade of combined experience and 3,000+ completed inspections, we have the expertise and understanding of the construction business to accurately perform expert home inspections. For a home inspection company that embodies an efficient state of mind and dependable service, please contact GreenTech Home Inspections to schedule an inspection today. We believe that our inspection reports are the most user-friendly in the industry. Our clients find that a report that is clearly laid out and easy to understand tends to relieve the anxieties that can be present during any transaction of real estate. A convenient feature included in our inspection reports is HomeGauge’s patent-pending Create Request List™, which allows you to build an itemized list of any defects listed in our report and the preferred plan of action for each item. 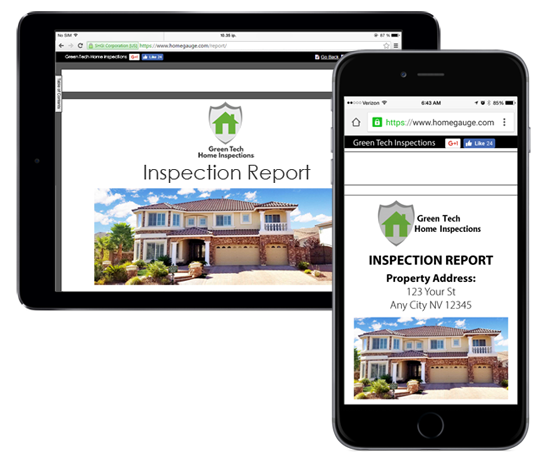 Green Tech Home Inspections provides services throughout Nevada, including Las Vegas, Henderson, Boulder City, Mesquite, Pahrump, and Reno. We offer a 10% discount to Teachers, Police, Active Military and Veterans, and to Real Estate Agents using us for the 1st time.